NALP - National Association for Law Placement | Prelaw - What Do Lawyers Do? Resources & Initiatives > Prelaw > Prelaw Portal > Prelaw - What Do Lawyers Do? Prelaw - What Do Lawyers Do? Lawyers affect our everyday lives in countless ways. They are involved in everything from buying a home, to writing a will, to prosecuting and defending criminals. They counsel, strategize, problem-solve, write, advocate, negotiate — the list is endless. Would I Go to Court A Lot? After graduating from an ABA-accredited law school and passing the bar examination in a particular jurisdiction, you will be qualified to go to court in the jurisdiction where you passed the bar. How often you go to court depends on whether you act primarily as an "advocate" or an "advisor." It also depends on whether you practice criminal or non-criminal (also called "civil") law. If you primarily act as an advocate, you also may be called a "litigator" or "trial attorney." If you become a criminal attorney you likely will spend a great deal of time preparing for and going to court. If you become a civil attorney, how much time you spend in a courtroom will depend on what kind of law you practice and where you do your work. In varying amounts, a day for a civil litigator could include researching legal questions, drafting persuasive arguments, preparing for and taking deposition, preparing for trial and negotiating settlements. If you primarily act as an advisor, you may be called a "transactional lawyer." If you are this type of lawyer, you may not spend any time at all in court. Instead, you would spend a great deal of time counseling your clients about personal matters (like buying a house) or business transactions (like selling a company) and then drafting the documents that will help legally accomplish your clients' goals. Within each of these big categories, there are a lot of specialties. For a brief description of some specialties, check out www.lsac.org/JD/Think/fields-of-law.asp. Lawyers work just about everywhere — law firms, private business, government, public interest organizations, the judiciary and academia. 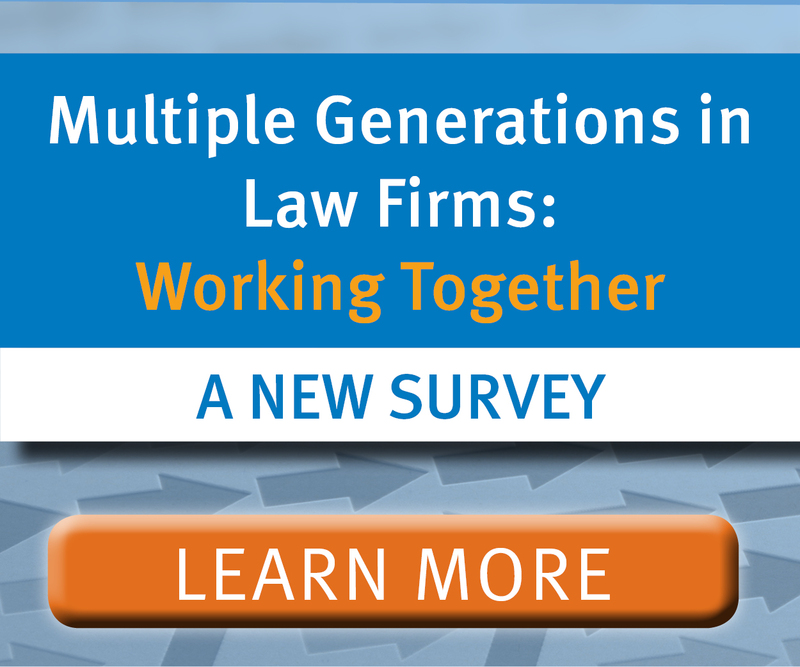 Law firms are the destination of choice for many new law school graduates. If you are in a law firm, clients, such as individuals or businesses, would hire you to perform legal work for them. On a day-to-day basis, you would work for a variety of clients on a variety of projects. In most law firms, as a new lawyer, you would be called an "associate." After some significant period of time, you would be eligible to become a "partner" in the law firm. Generally speaking, partners have an ownership interest in the law firm and collectively they act to manage the law firm. Law firms come in all shapes and sizes. They could have a large variety of practice areas like corporate, real estate, civil rights, family, trusts and estates, bankruptcy, immigration, employment, environmental, entertainment, insurance, intellectual property, criminal, or tax; or they may specialize in a limited number of practice areas. They could be large (500+ lawyers), medium (several hundred lawyers) or small (2-20 lawyers). You may choose to work for yourself, and if so, you would be called a "solo practitioner." In big firms, it would be common to work 60-80+ hour work weeks. In smaller firms, the hours may be less, but they may not be. In general, most lawyers work long hours. If you work at a private business, you would be known as in-house counsel. You would be a lawyer for the company and the company would be your one-and-only client. Your role would be to give business and legal advice, draft and review contracts, negotiate business deals, develop business opportunities, help the business avoid risk, work on investor relations and manage outside law firms who perform legal work for the business. The size of any particular in-house counsel department varies greatly. Generally, recent law school graduates do not start in these positions because business and legal experience is required for these positions. There are lawyers at every level of the government — local, state and federal. You could work as a prosecutor; public defender; administrative, executive or legislative staff; or military attorney. As a prosecutor, you would represent the government in prosecuting crimes and as a public defender you would represent criminal defendants who could not afford to hire lawyers on their own. Government attorneys also handle civil cases in which the government is involved. Working as an attorney in an administrative agency or an office in the executive or legislative branches, you could draft, research, provide advice on and enforce laws, rules and regulations. As a public interest lawyer, you would focus on cases and causes that are significant to the general public. Oftentimes, you would provide legal services to disadvantaged and low-income groups in society. You may work directly with clients, or you may work on public policy and impact litigation. If you work directly with clients, you may provide legal representation in matters involving housing, immigration, family, government benefits, community development, employment, consumer, bankruptcy, education, discrimination and child advocacy. Some public interest lawyers work for organizations that are trying to effect change in laws and our society. This involves research, advocacy with political leaders and administrative and legislative bodies, and litigation. An example of this type of public interest organization is the American Civil Liberties Union. It should be noted that attorneys working in the private sector often pursue their passion for public interest work through pro bono projects (oftentimes coordinated through their employer) and other volunteer opportunities with public interest organizations and other nonprofit entities. These pro bono and volunteer attorneys play an important role in providing legal services to individuals and communities that lack the critical resources needed to address their legal issues. Many new law school graduates clerk for a local, state or federal judge. Your work as a clerk can vary, but typically involves researching, reviewing and summarizing legal issues in cases before the court; drafting orders, internal memoranda, and opinions; and observing various judicial proceedings. Clerkships generally are for one- or two-year terms, though occasionally permanent positions (often called "staff clerks") are available. Clerkship experience is highly valued by most legal employers and viewed as a springboard into positions in private practice, government and public interest. An extremely small percentage of lawyers work as judges. Judges can be either appointed or elected and lawyers typically are not afforded this opportunity until many years into their professional careers. Lawyers in academia teach, counsel and serve as administrators. If you want to teach, you will often need some practical legal experience before becoming a professor. As a tenure-track professor, your focus will be on researching and writing scholarly articles and books. You can also teach students practical skills through clinical teaching or serving as a legal research and writing instructor. You do not have to be a professor to work in a law school. You also could work as a program administrator, career counselor, or admissions professional. Also, a small number of lawyers practice law on behalf of universities in the university counsel's office. You may know people who have law degrees but don't practice law. It is certainly true that people with JD degrees work in a wide variety of alternative careers. However, while that may be true down the road, lawyers most often choose a non-traditional path after practicing law for at least a few years. Abrams, L. L. (2000). The Official Guide to Legal Specialties: An Insider's Guide to Every Major Practice Area. Arron, D. (2004). What Can You Do With a Law Degree? : A Lawyer Guide to Career Alternatives Inside, Outside & Around the Law. DecisionBooks. Tieger, P. T. and Barron-Tieger, B. (2001). Do What You Are: Discover the Perfect Career for You Through the Secrets of Personality Type. Little, Brown and Company. Next Page > How Can NALP Resources Help Me Make Good Choices?